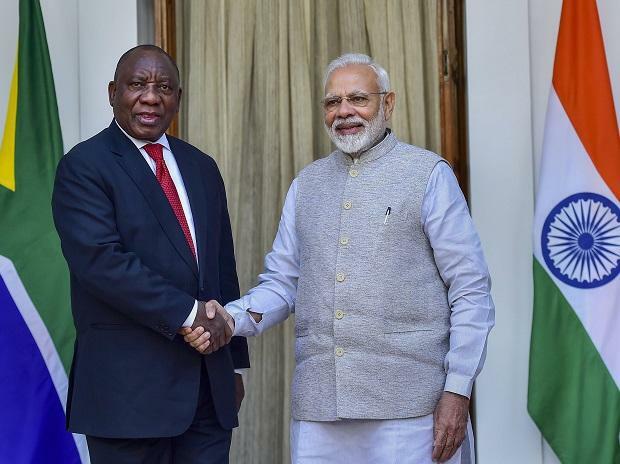 India and South Africa on Friday sealed three-year strategic programme to further boost cooperation in a number of key areas after talks between Prime Minister Narendra Modi and South African President Cyril Ramaphosa. 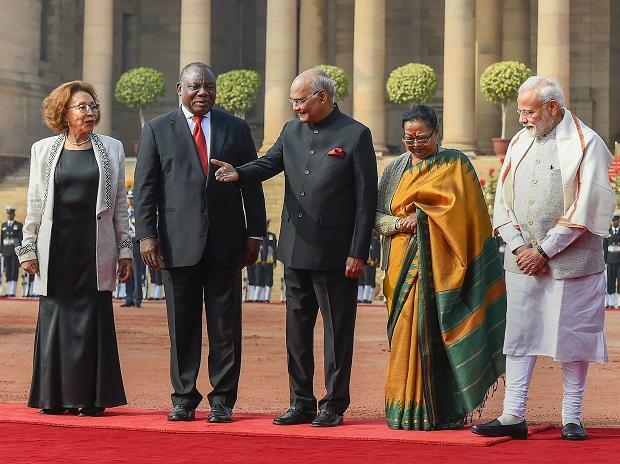 Ramaphosa said his country was looking at a "result-oriented" partnership with India through the implementation of the three-year strategic exchange programme. The strategic programme will a programme will cover cooperation in a range of areas including defence and security, trade and investment, the blue economy, tourism, IT and agriculture. Ramaphosa, who arrived here this morning, will be the chief guest at the Republic Day Parade on Saturday. It was the fourth meeting between Modi and Ramaphosa within a year.